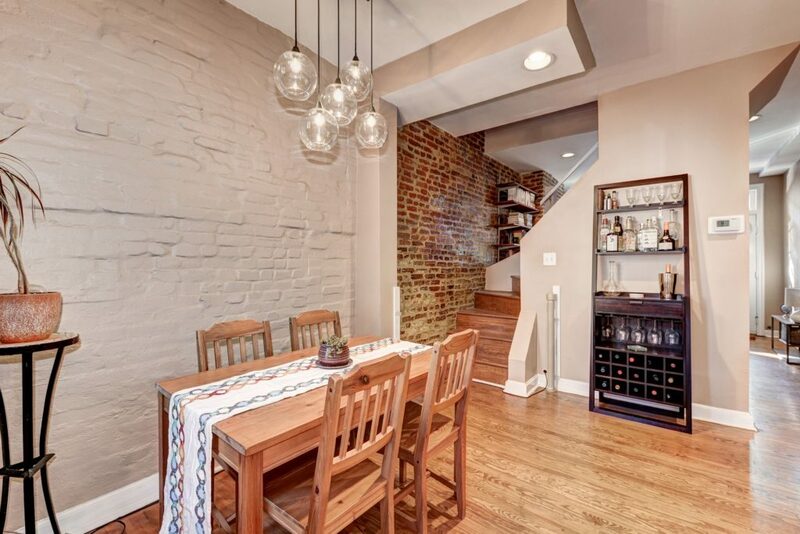 Looking for a stylish and updated home just blocks from the fun nightlife of U Street? Welcome to 2255 12th Pl. NW. 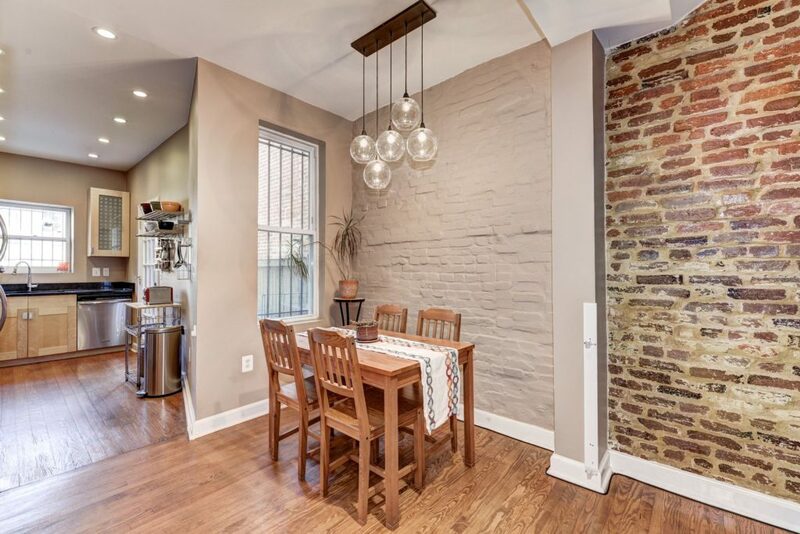 This 2 bedroom, 1 bathroom+ den rowhouse is updated with all the modern amenities you expect with the cool character of a classic DC rowhouse. 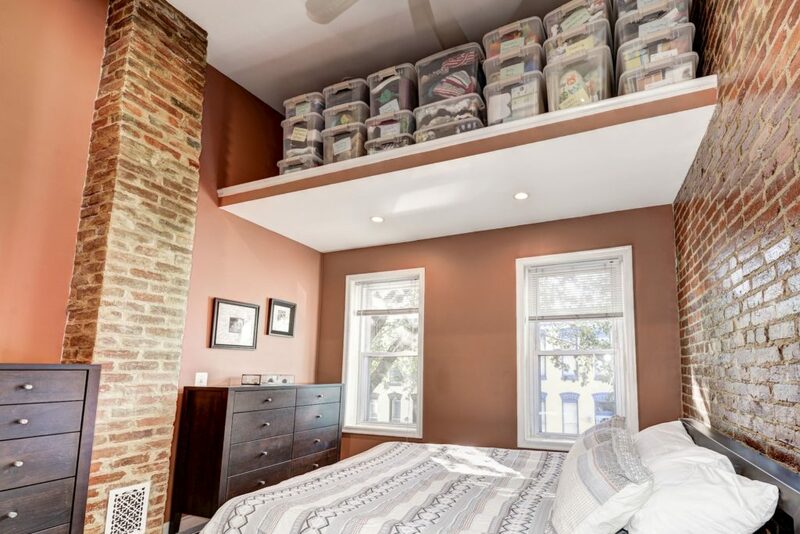 The home also features THREE skylights making it feel light-filled and airy and tons of storage throughout, including a storage loft in the master bedroom. 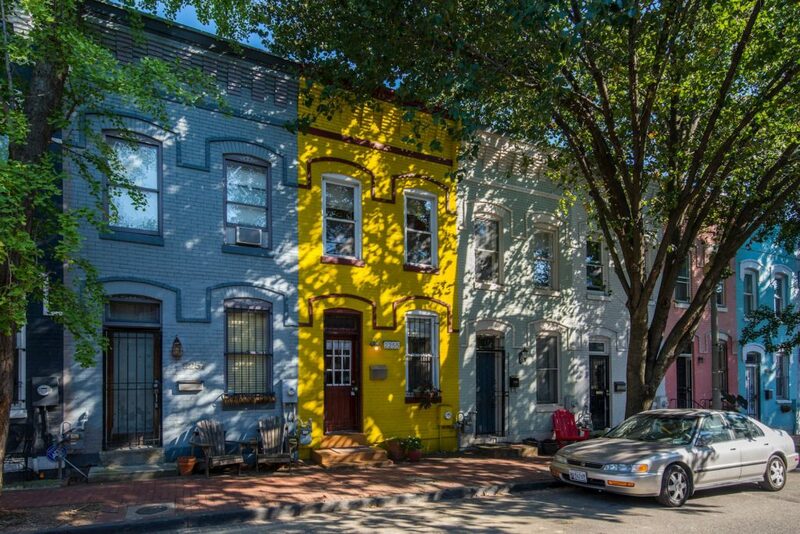 Nestled on an adorable residential street, the bright yellow of this home fits in with the funky U Street neighborhood vibe. 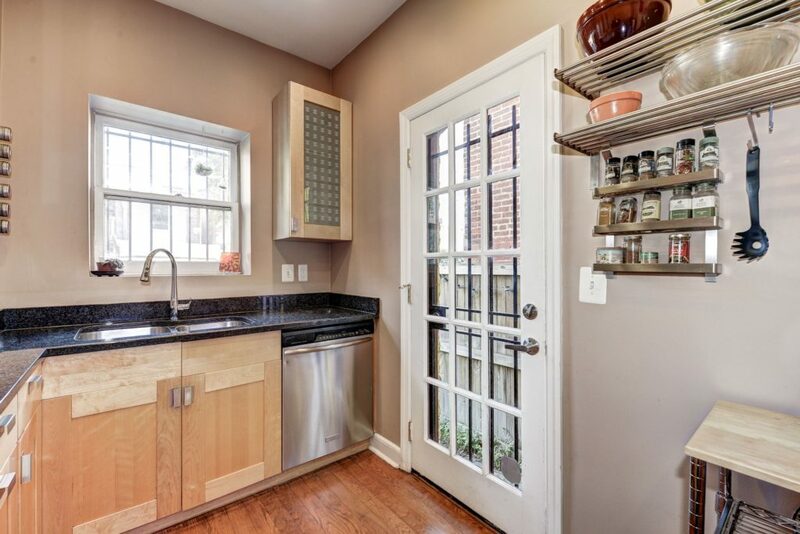 You’ll love your neighbors on this quaint and quiet one-way street – their annual block party was just last week! 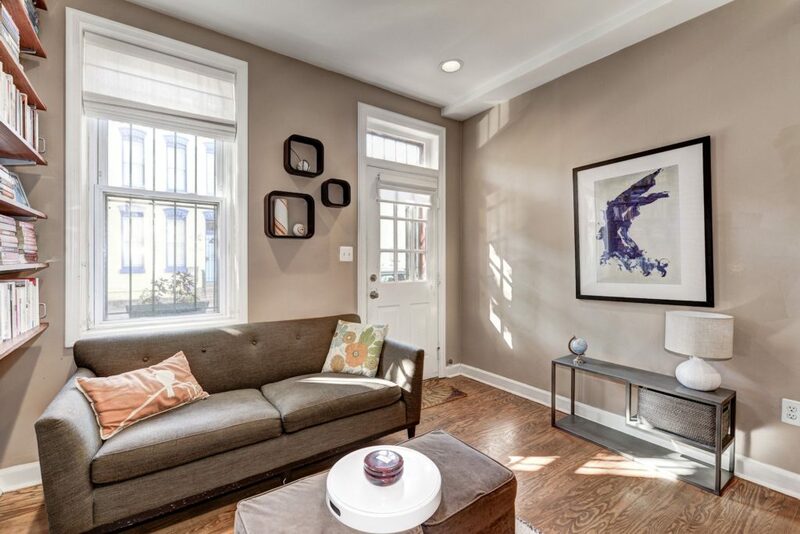 Walking through the door, you’ll immediately notice how stylish and hip this home is. 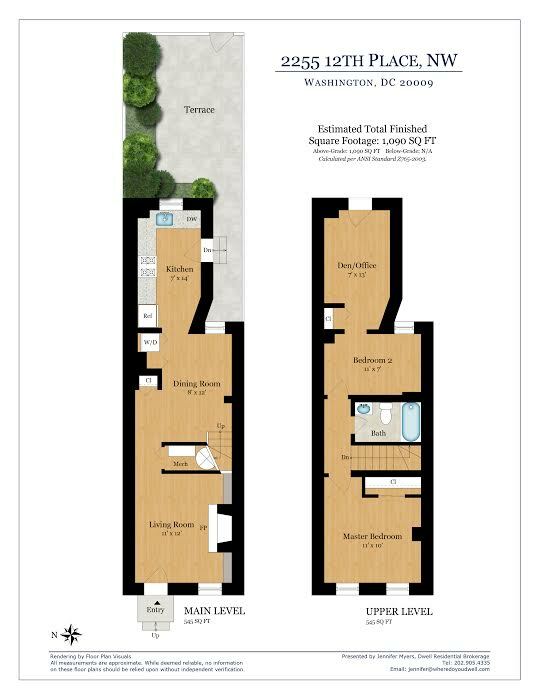 It’s totally move-in ready! 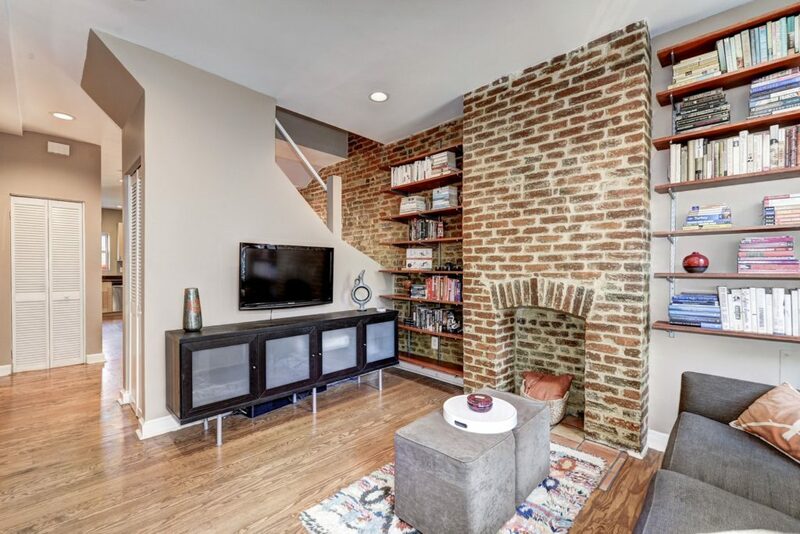 The exposed brick makes this living room feel homey, and there’s tons of space for movie nights and Sunday football games. The huge separate dining room is perfect for dinner parties! And with the kitchen right off the dining room, you’ll be able to entertain your guests while cooking up a fabulous meal. 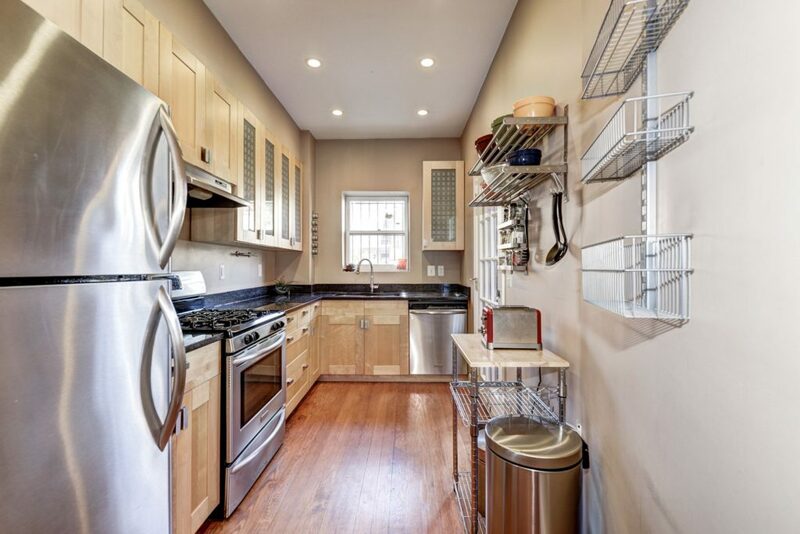 Fully-updated with stainless steel appliances, this kitchen is a chef’s dream. 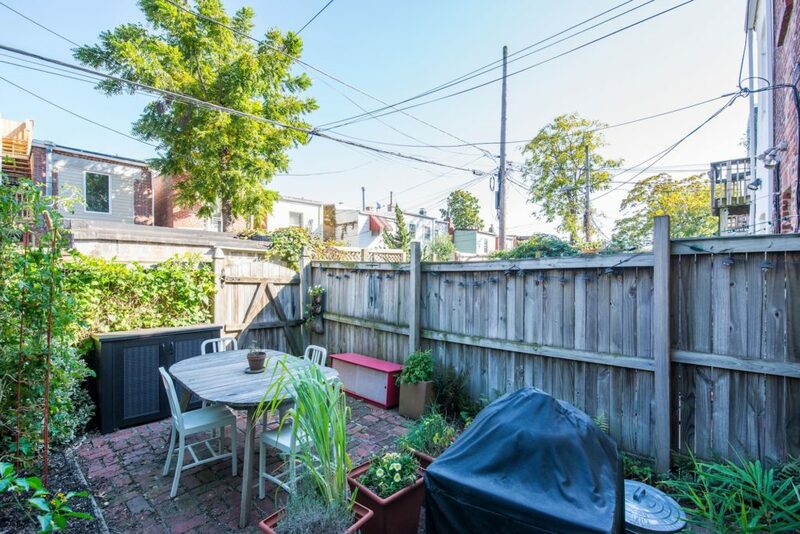 A backyard oasis – right in the middle of DC! 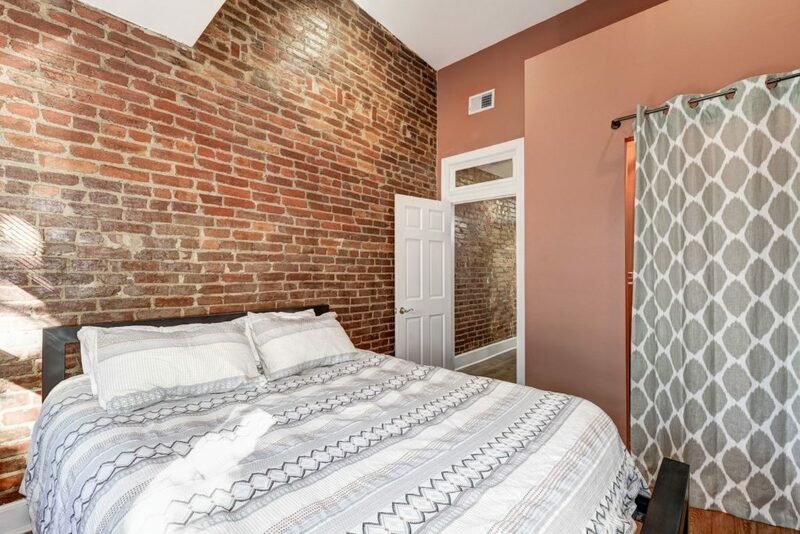 Upstairs you’ll find the master bedroom, again with the super chic exposed brick. Shoe addict? No problem! Above you is tons of storage space, so you’ll always have room for shopping sprees! 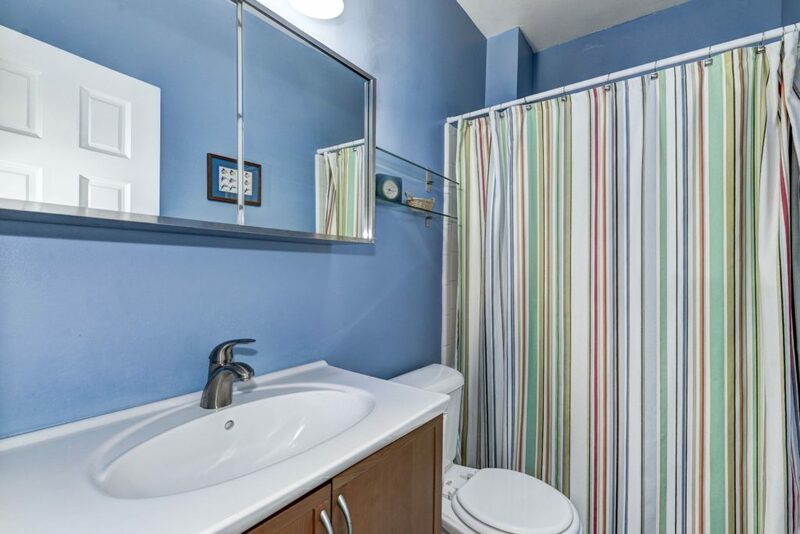 The bathroom features a large vanity sink with substantial cabinet storage. 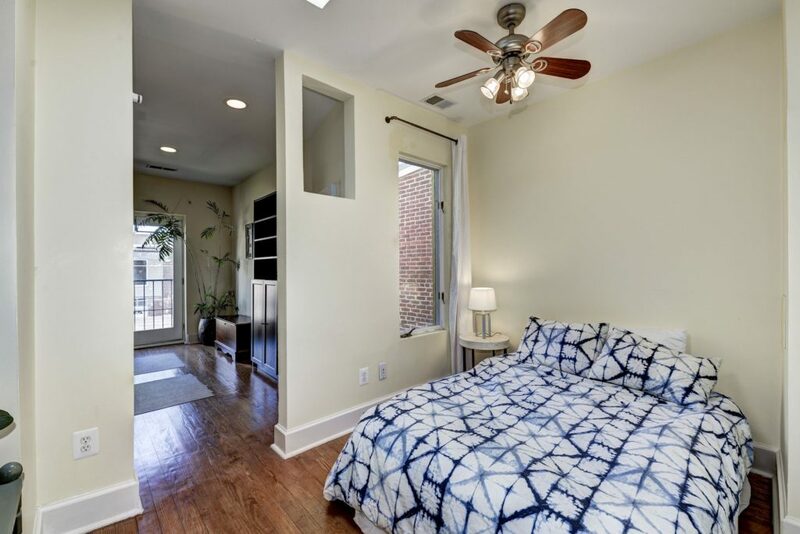 The second bedroom has lots of space and a ceiling fan – perfect for those hot DC summer nights. 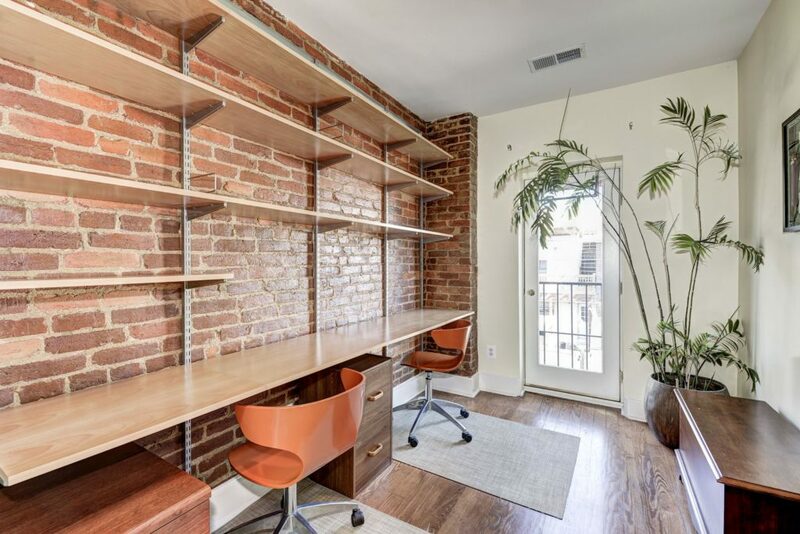 And working from home is a breeze with this amazing office space. 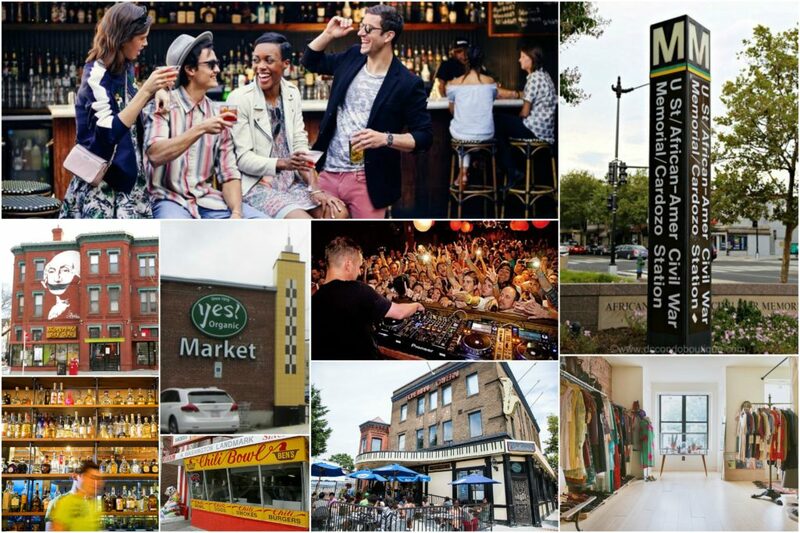 U Street, with it’s vibrant community, exciting nightlife, funky restaurants and abundant shopping, is the place to be in DC. 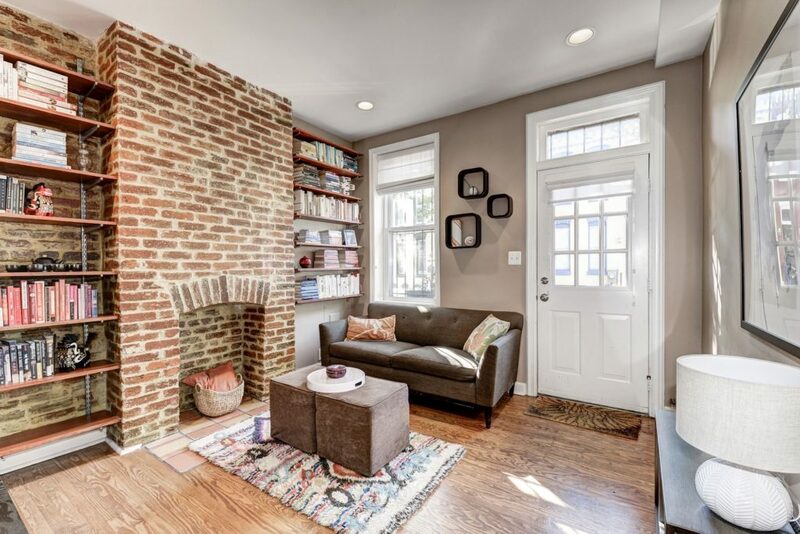 And just blocks from the center of U Street and right around the corner from Shaw and 14th Street, this home is perfect for anyone who wants to be right in the middle of all the fun!